Ultimate Headers has undertaken a comprehensive testing program, using outside, independent engine testing facilities to determine the effectiveness and efficiency of the Ultimate Header design and product. The first comprehensive dynamometer testing (February 2013) was done at the very highly regarded Katech, Inc. engineering facility (Clinton Township, Mich.), with Ultimate Headers installed on a 427 cu in LS7 engine. 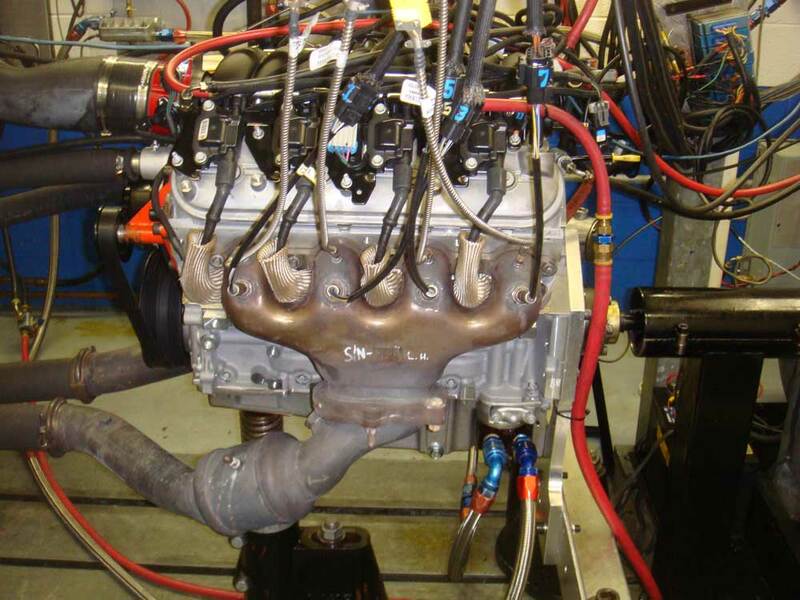 On back-to-back-to-back comparison tests, using the LS3 cast iron manifold, the GM Corvette ZO-6 hydro-formed stainless steel manifold and Katech’s “house” long-tube step headers, the Ultimate Headers performed exceptionally well. 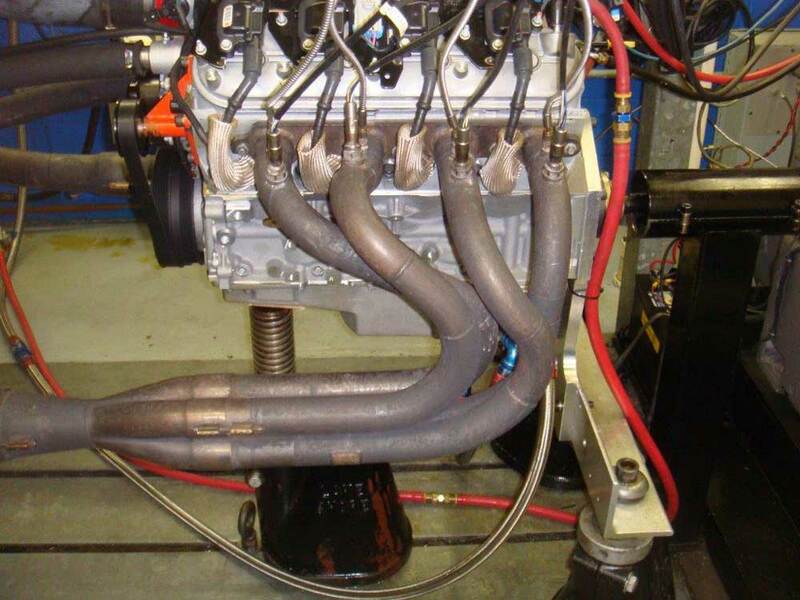 The long tube, step header design has long been known for helping produce strong horsepower and torque numbers. 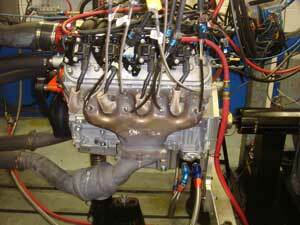 The Ultimate Headers LS Swap Header, with its short tubes, would be considered to be at somewhat of a disadvantage in torque and power. 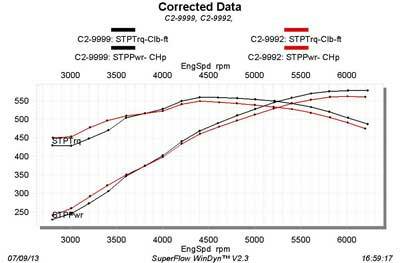 The Ultimate Headers LS Swap Header design outperformed the stock GM LS3 cast iron header by a significant margin in both torque and power through the entire RPM range. 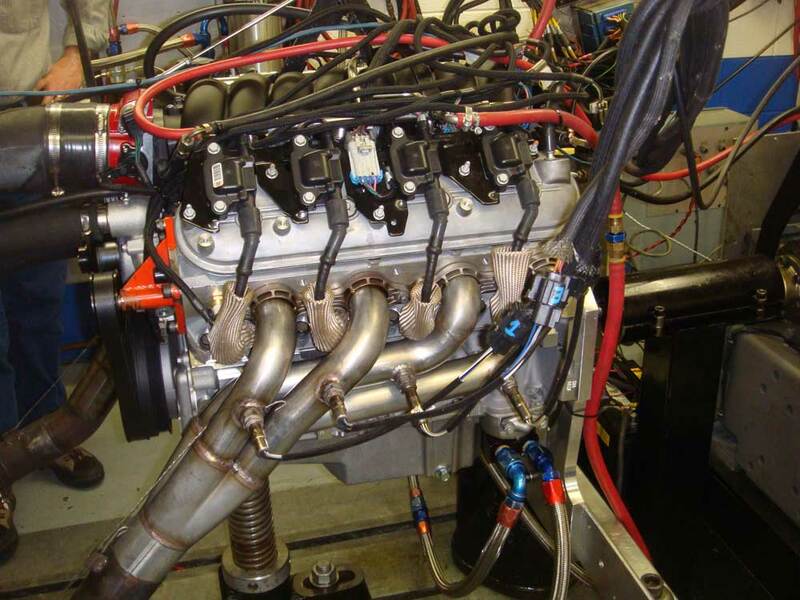 Against the Corvette ZO-6 manifold, which has hydro-formed stainless steel tubes surrounded by a stainless steel envelope, the Ultimate Headers LS Swap Header closely matched the ZO-6 manifold to 3750 rpm, and then surpassed it with +18 horsepower and +10 ft-lb of torque. 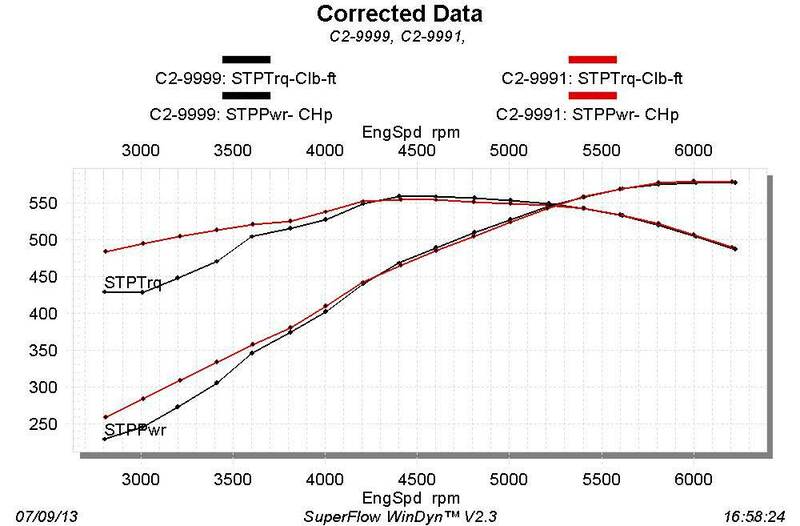 The ZO-6 manifold represents General Motors most innovative high performance production emissions legal exhaust to date, and to exceed its strong performance levels is a significant achievement. Against the long tube step headers, there was the expected gap in torque (and somewhat less in power) at engine speeds below 4000 rpm. However, by 4000 rpm, the Ultimate LS Swap Header caught and basically matched the torque and power curves to 6500 rpm. A crucial point is this: in LS engine swaps, the long tube design is often not an option for headers. 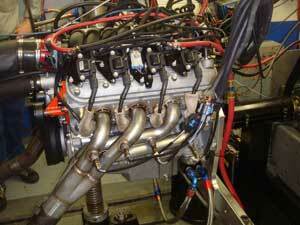 Ultimate Headers will continue dyno testing its products. This will include chassis dyno testing to evaluate the headers under simulated vehicle operating conditions. We feel our customers need to know the Ultimate Headers not only are the Ultimate in design, and appearance, but can deliver the muscle to the street or track.